Hauling heavy equipment and bulky tools to a job site can be dangerous! Protect yourself and your fleet with an Adrian Steel partition for the Ford Transit. If you haul heavy equipment or bulky tools, a partition can offer protection to you and your passengers. Adrian Steel partitions fit firmly and securely in your cargo van not only separating you from the cargo area of your work vehicle but also creating a more organized ride. Adrian Steel partitions create a seal between the partition and the van sides, which forms a separate space for the driver that can be heated or cooled much quicker than a full size can interior. Have a 2015 Ford Transit? The S-M-C Series partition is one of our most popular work ready products for the 2015 Ford Transit and later models. These partitions come with a variety of options allowing you the freedom to choose the design that’s right for you! 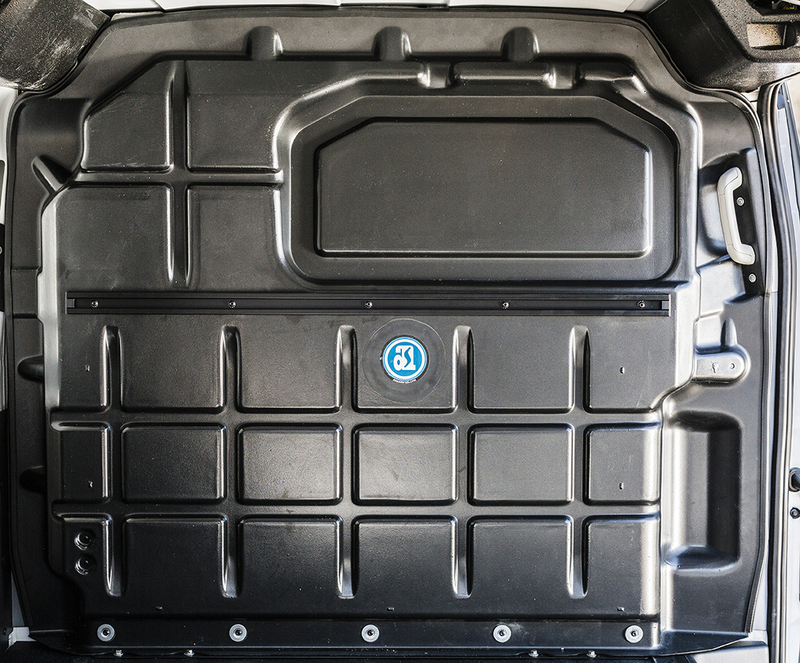 Want more cargo management solutions for your Ford Transit? See Adrian Steel’s upfit packages to learn more.